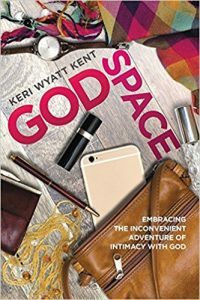 KERI’S NEW BOOK, GODSPACE, IS NOW AVAILABLE! Available at Barnes & Noble or Amazon.com. Sure, God loves the whole world. But what about me? 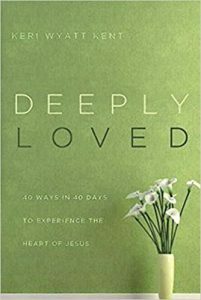 Deeply Loved guides readers through simple spiritual practices that will banish spiritual loneliness and help them to truly experience the deep, unconditional, abundant love that Jesus has for them. Available at BarnesandNoble.com, or Amazon.com. Translators have done their best to render the words of the Bible into English, but capturing the nuances of the ancient languages is an inexact science. 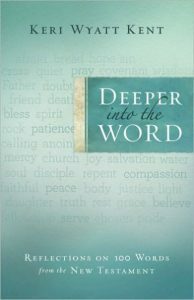 This helpful book gives readers an opportunity to investigate the roots and biblical context of the words within the Word. 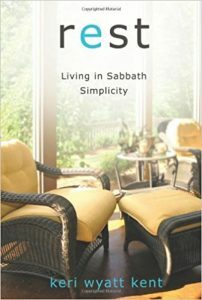 Rest: Living in Sabbath Simplicity explores what it means to live in “Sabbath simplicity” by focusing on six aspects of Sabbath as spiritual practice: resting, reconnecting, revising, pausing, playing, and praying. Readers learn to slow down and find joy and meaning in the midst of their hectic lives. Learn More. Available at Barnes & Nobel or Amazon.com. Available in both hardcover and e-book. Listen explains how listening is the central spiritual practice that makes other practices–such as prayer, worship and study–transformational in Christians’ lives. 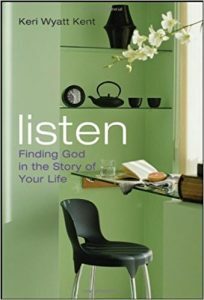 Keri presents a warm-hearted, personal exploration of learning how to really listen and be transformed by what we hear, all the while knowing God always hears us and completely understands the pleadings of our hearts. 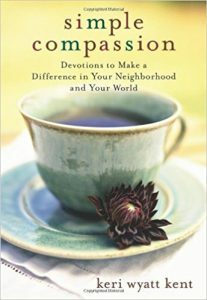 This fifty-two-week devotional invites you to discover a life overflowing with creative compassion. Through poignant stories and fresh insights from the Bible, you’ll learn how small acts by ordinary women just like you can lead to meaningful change. Along with a clear vision of God’s heart for the poor and marginalized, Simple Compassion provides manageable action steps to help you move beyond asking, “What difference can I make?” to actually doing something. In each week’s reading, you’ll find inspiring meditations from the Bible blended with practical guidance for living out principles of justice and compassion right where you are. 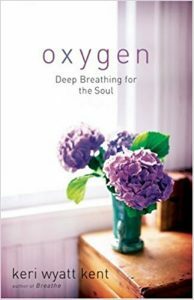 Unlike most traditional devotionals, Oxygen guides readers through meditation and reflection on just one Gospel passage each week. Go deeper into Scripture while learning spiritual practices such as prayer, meditative reading, journaling and solitude. Oxygen is a tool that will help you deepen your understanding of Scripture and help you connect with Jesus in a meaningful way. It’s also a great resource for small groups. This engaging, down-to-earth book challenges the lie that a woman’s value is found in what she does rather than who she is. 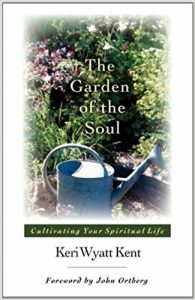 Learn how to cultivate spiritual growth through spiritual practices. Like gardens, our souls need tending. 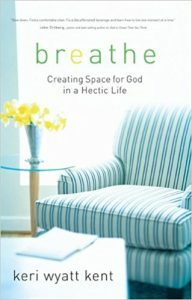 This book offers practical help on learning spiritual disciplines and incorporating them into your daily life. Parenting little ones can be mind-numbing, exhausting work. How do you care for your own soul when you are caring for others? 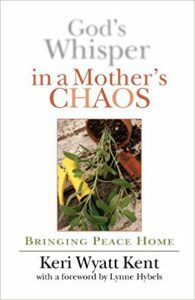 This book offers hope and encouragement to mothers of young children.